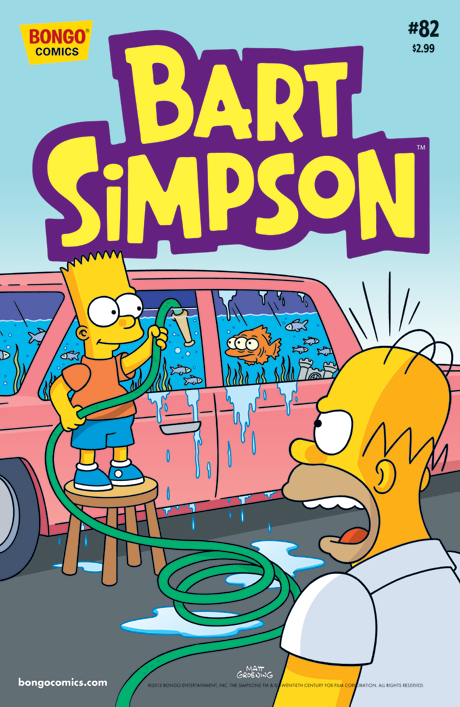 Martin Prince decides to make a move up the Springfield Elementary food chain by auditioning for the role of Bart’s second banana. Then, Homer and Bart pull an all-nighter and put themselves on high alert to prevent a potential home invasion. And Marge takes Maggie to get her picture taken by Springfield’s preeminent photographer, who has a penchant for premonitions. Marge hosts a dinner party with murder on the menu. That is, she’s hosting a murder mystery dinner party…but one of her guests may very well have murder on his or her mind! Well…she didn’t necessarily invite the would-be murderer to the party, that might make her an accessory to the crime…but you get the picture! Mark your calendars! 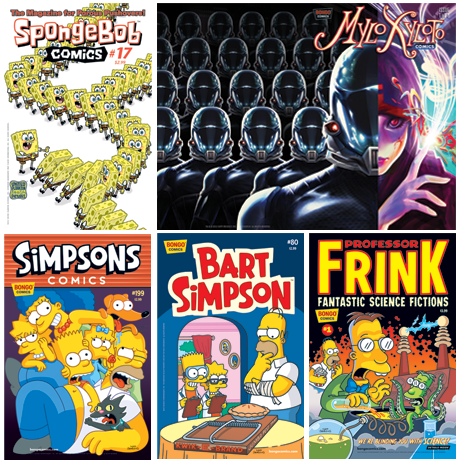 Here are the dates on which you can find the following issues in comic book stores. Newsstand editions are generally available about 3 weeks later. 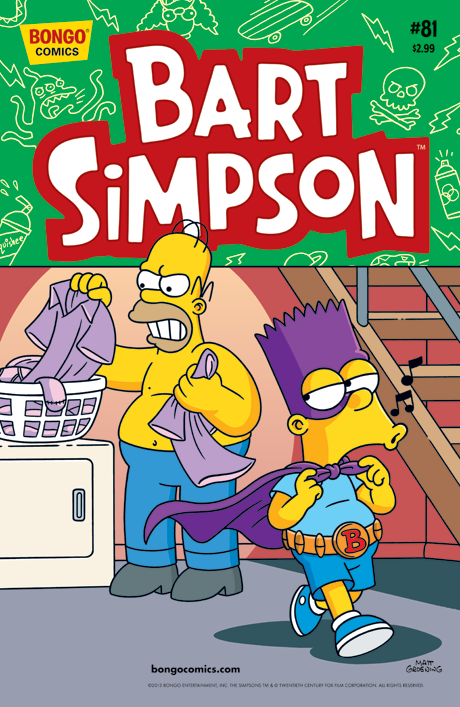 Who is Bartman? 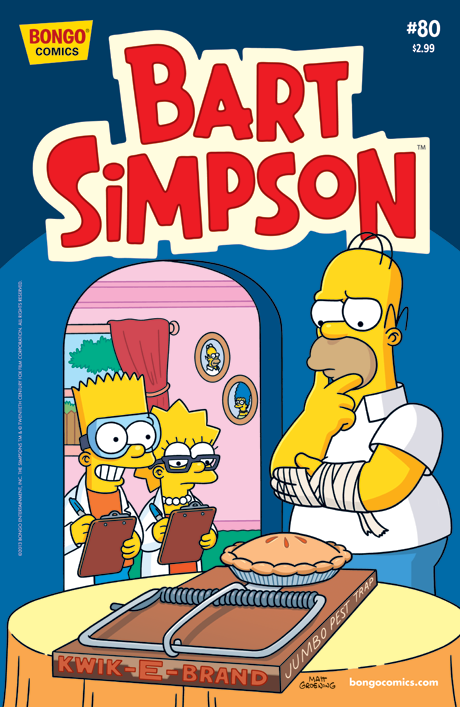 Join us and find out who the students of Springfield Elementary think he really is? Then, Rod and Todd Flanders get separated from Ned Flanders in downtown Springfield and find themselves on an odyssey to their home, fraught with many dangers (mostly imagined). And Marge’s breakfast pancakes lead Maggie leadon an adventure of her own. 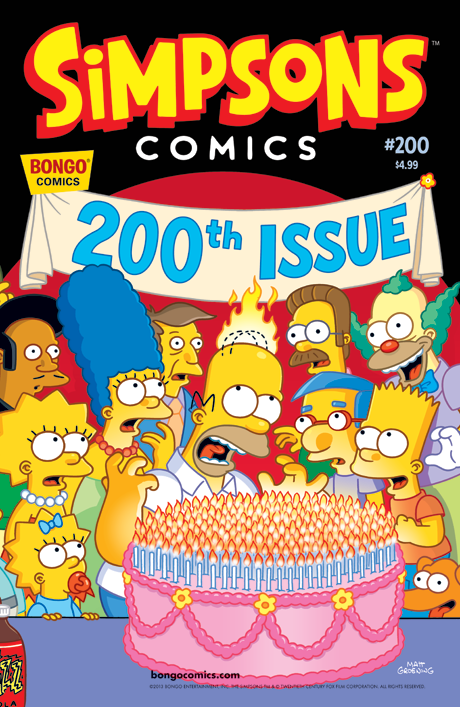 Bongo celebrates its 20th year and landmark 200th issue of Simpsons Comics with an extra-special, supersized story about (what else?) the bicentennial celebration of the history of Springfield. Witness the heretofore untold and influential past of the town that’s affectionately become known as “America’s crudbucket,” and find out from tales of its fantastic forefathers to its civil war to its fight for civil rights why the worst city in the country is also its funniest! And, as they say...much, much more! In a stunning shift of power, the sons of The Legitimate Businessman’s Social Club associates (aka the Mafia) move-in on the “bully” trade at Springfield Elementary, and they have their sights set on recruiting Bart Simpson as their newest member. 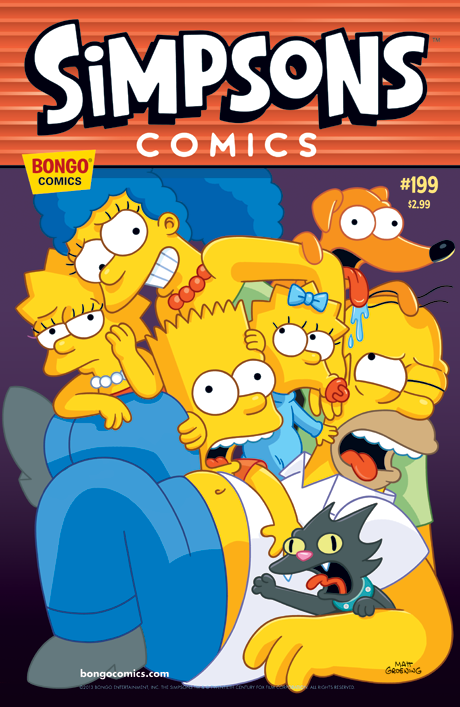 In other tales, Homer tries to make up to Maggie by offering her the Moon, Milhouse imagines himself on the plains of Africa, and Professor Frink pays an unexpected visit to the Simpsons household. Inspired by the current crop of trash-to-treasure reality shows, Homer raids the family storage unit looking for a valuable artifact. 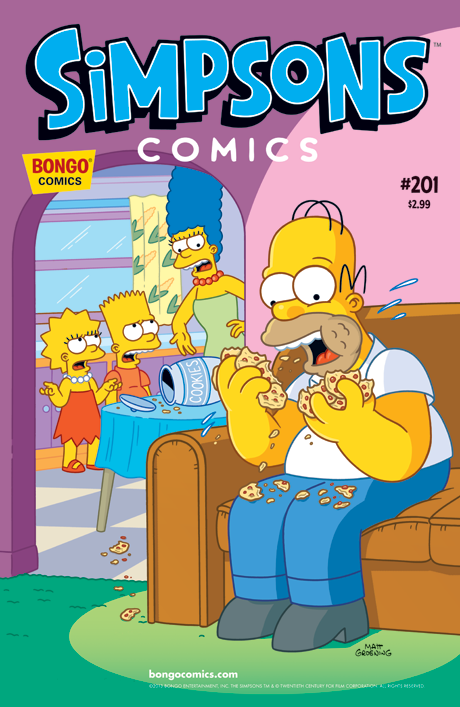 However, Homer is about to find out that his road to riches is paved with a lot of worthless junk.